One of our family's Thanksgiving traditions includes taking turns sharing things we're thankful for from the past year. I enjoy the tradition, but I also want my girls to show gratitude all year. For this reason, I decided to be intentional about cultivating gratitude in my children. In seven ways, we parents, teachers, and caregivers can foster gratitude in our kids that they will practice for the rest of their lives. Our kids watch us for cues about how they should act. That's why I make sure to say "thank you" to others as often as possible and encourage my girls to do the same. 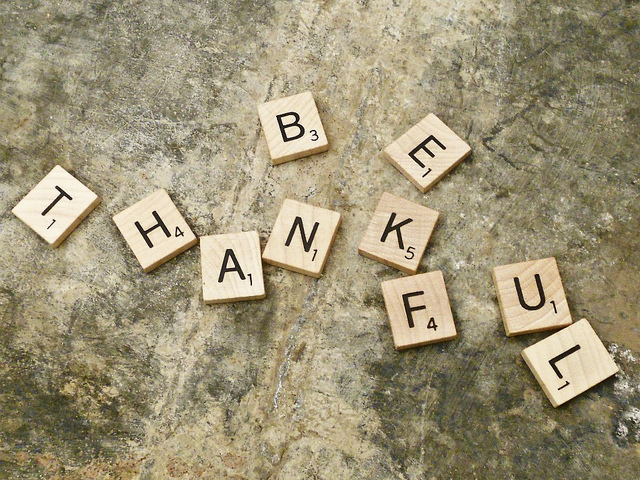 When gratitude is part of everyday life at home, in the classroom, and as we interact with others in the community, our kids embrace the habit. Since our kids spend so much time playing, it makes sense to use this time to practice gratitude. During tea parties with stuffed animals or dolls, when sharing crayons, and while taking turns using the swing, our kids can practice saying "thank you" as they become more grateful. One of my daughters walks dogs at an animal shelter because she wants to end animal cruelty. She chose this cause after we heard news stories about several cruelty cases in our state last year. While I'm careful to keep my girls' emotional development in mind, I also know it's important to be honest with them about social justice issues. They're part of humankind and can develop compassion for causes that matter. Exposure to social justice also helps our kids become grateful for their blessings and give back to society. As a family, we help our elderly neighbor care for her property throughout the year. My girls also regularly donate clothing and toys they outgrow, and they each participate in volunteer activities at school. I want my girls to exercise generosity, cooperation, and helpfulness for the rest of their lives, and volunteering is a good way to reinforce these values. I'm a big fan of minimalism, but this philosophy goes against the grain of consumerism, a concept I'm trying to teach my girls about. To reduce consumerism and entitlement, we sometimes intentionally go window shopping and leave my wallet locked in the car. I also encourage my girls to ask for non-material holiday and birthday gifts like museum tickets, art lessons, and coupons for trips to our local ice cream parlor. With less stuff and clutter, their gratitude grows. A few years ago, our family started a gratitude journal. During dinner, we share what we're thankful for, and I write it in our book. The practice has prompted us to be more mindful of our blessings and look for the good in every situation. We've also become more compassionate to and grateful for each other as we discuss our day. There's something special about receiving a thoughtful handwritten thank you note. These notes are also effective tools that foster gratitude in our kids. My girls know that they will have to write a note to everyone who gives them a holiday or birthday gift. They also write notes to thank teachers, coaches, and other adult influencers as they demonstrate their gratitude. As parents, caregivers, and teachers, we can foster an attitude of gratitude in our children in these seven ways. Our efforts can help our kids become more grateful now and into the future. How do you teach your kids to be thankful?